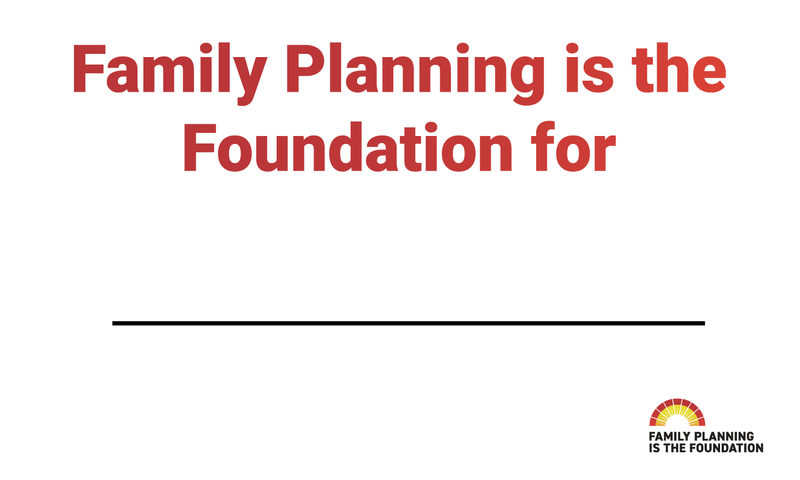 Family planning is the first, often invisible, step for many to reach their goals. It’s the foundation for their ambitions, for their education, for the family that they want, the life they want to live, and so much more. Family planning also means something different to each individual. For some, family planning means having access to birth control to wait on starting a family. For others, it helps achieve a pregnancy. Our campaign begins with you! 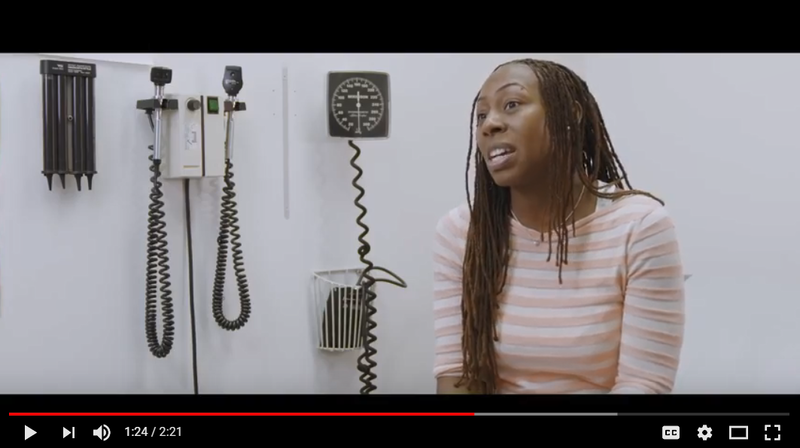 We want to hear what family planning means both for you and the patients you serve. Download your own sign to print, personalize, and share. Share NFPRHA's tweet and Facebook post announcing the campaign. Post and share the Family Planning is the Foundation Facebook and Twitter cover photo. 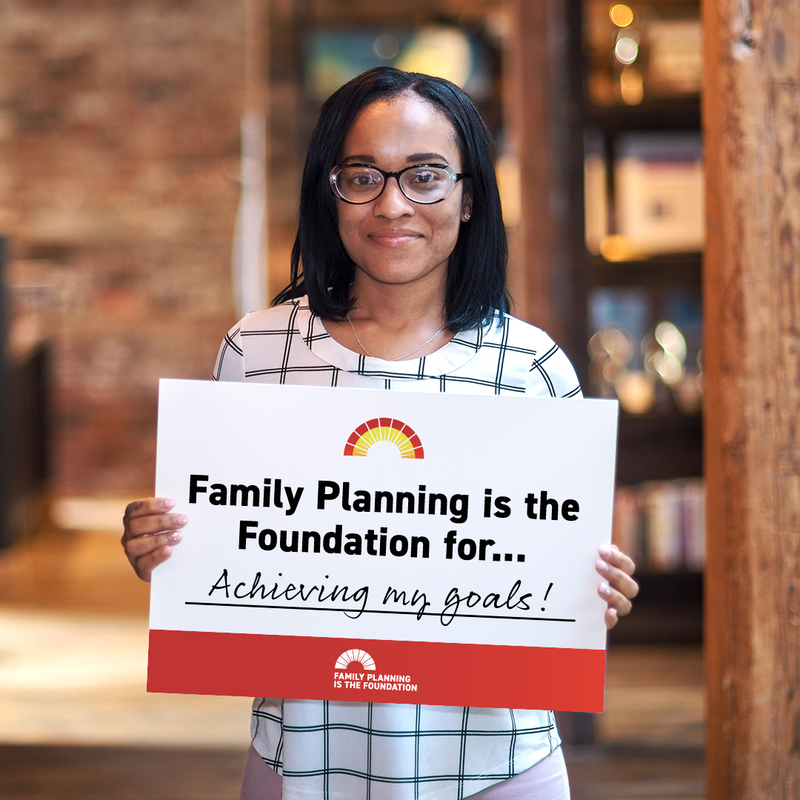 Ask your patients to finish this sentence, "Family planning is the foundation for..." on this postcard and share responses on social media. Create your own social media posts using the fill-in-the-blank signs and postcard. 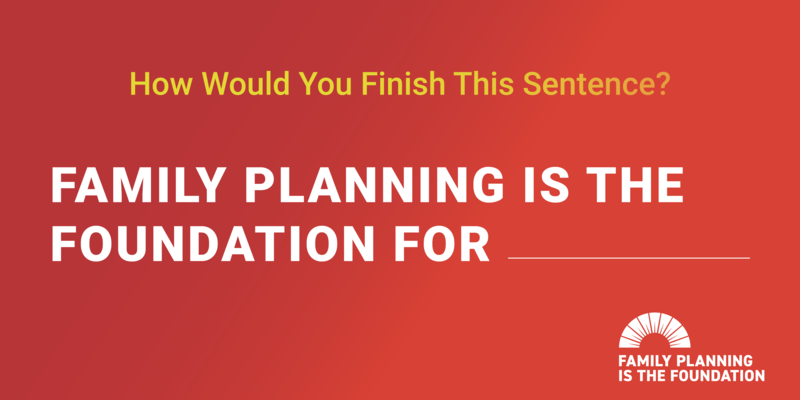 Share your photo along with one of the examples below and include #MyFamilyPlanning in your posts.